Snap today took another step on its quest to truly become the “camera company” it says it is. Following the November 21st launch and subsequent February 20th close of its NYC pop-up shop, it’s now opening a temporary store on the Venice boardwalk near its Los Angeles headquarters. Of course, would-be camera sunglasses buyers don’t have to trek to a physical location any more as Spectacles are now sold online for $129.99. In a cheeky move, the store will be open each day from 11am until “sunset” at 701 Ocean Front Walk, Venice, CA 90291. Tim Watson posted this shot of the building getting prepped to open. We’ve reached out to Snap about whether this will be a more permanent shop or another temporary one, and it told us the store will be open for the next several weeks. 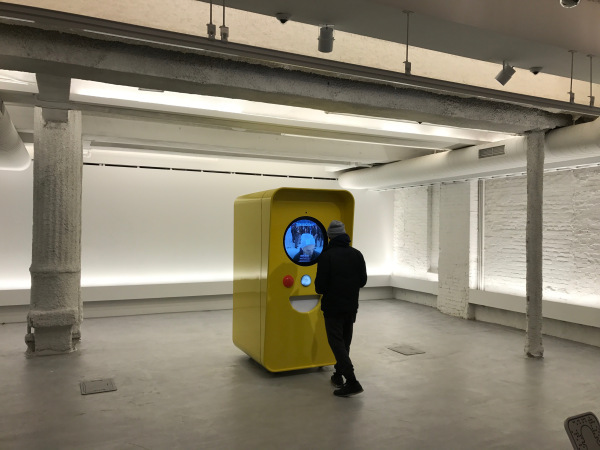 The in-store experience will be similar to the NYC location, with purchasing done via its Snapbot kiosks rather than human salespeople. Snap’s IPO filing noted that it wasn’t earning meaningful revenue from hardware sales yet. But with Spectacles dropping the rarity thing and now being openly available to buy online, it could start generating some material income. As for what comes after Spectacles, our sources say Snap has investigated a drone and a 360 camera as potential products.